In Bellevue, you are required to stop and exchange personal information after a car crash. If you fail to do so, you can be charged with a serious hit and run crime. If convicted of hit and run, serious punishments that could have a devastating impact on your life will be enforced by the court. The severity of a hit and run crime is gauged after the details of the accident and the actions of the accused are ascertained. If someone crashes into an unattended parked vehicle and flees the scene, they can be charged with a misdemeanor offense. If the driver flees the scene of an accident with injuries , they could be charged with a Class C felony and face a sentence of up to five years of prison time and $10,000 in fines. If someone was killed in the accident, the fines and prison time could double. Don't take any chances with a hit and run charge in Washington State. Contact our Bellevue hit and run lawyers from the Law Office of Jason S. Newcombe, and get help from professional lawyers who understand the law. 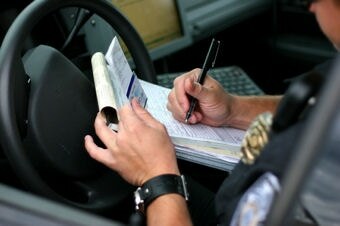 There are often circumstances that cause a Bellevue driver to contact a hit and run lawyer. Sometimes people are willing to admit their role in the accident, but hope that some of the penalties associated with the crime can be reduced. Regardless of your circumstances, our lawyers will work diligently to resolve your case, so contact our law office today so that we can get started on your defense. Hit and run crimes happen with alarming regularity, and for a variety of reasons. We've encountered situations where Bellevue motorists had no intention of breaking the law, but left the scene of an accident without taking the required legal steps. Later, they realize their mistake and decide to go to the authorities and explain the situation. If you are in this situation, we recommend retaining professional Bellevue legal counsel before speaking with the authorities, so that you can be sure your legal rights are being protected. Sometimes drivers panic immediately following an accident and leave the scene because of an irrational emotional response. When their head clears, they realize they made a huge mistake and want to make the situation right by approaching the authorities. In every situation of this sort, it is important to speak with one of our Bellevue hit and run attorneys before reaching out to the authorities. If you aren't represented by a trained legal professional, you could say something that may then be used as evidence to prosecute you. Automobile crashes are distressing experiences, often filled with chaos and confusion. This makes it hard for an eyewitness to accurately identify a driver that fled the scene, leading to a false accusation against someone who is innocent. Don't let this happen to you; contact our team of our Bellevue hit and run lawyers for a cost-free consultation, and get help from a team of experienced lawyers who will defend your legal rights.